As Michigan continues its economic recovery that has led to more jobs, higher real estate values and more government tax revenue, one might wonder what’s driving the state’s recent economic growth. Some point to the booming auto industry, praising the bailouts and speedy bankruptcies. Yet, while some pieces of the state economy are improving more than others, it’s all of them together that makes the difference. Michigan’s recent economic growth is substantial. From the end of the recession in 2009 to March 2015, Michigan added 407,800 jobs, a 10.6 percent gain — seventh highest among the states. 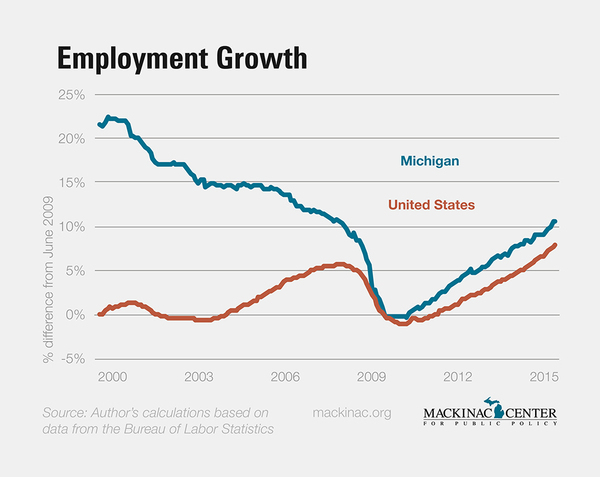 Michigan continues to add jobs and will soon have fully replaced all of the jobs lost during the recession. Auto industry jobs rebounded even more. Jobs in auto and auto-part manufacturing are up 67 percent from their recessionary trough. Yet, compared to their peak in 2000, the state has fewer than half of the auto and auto-parts manufacturing jobs than it did 15 years ago. 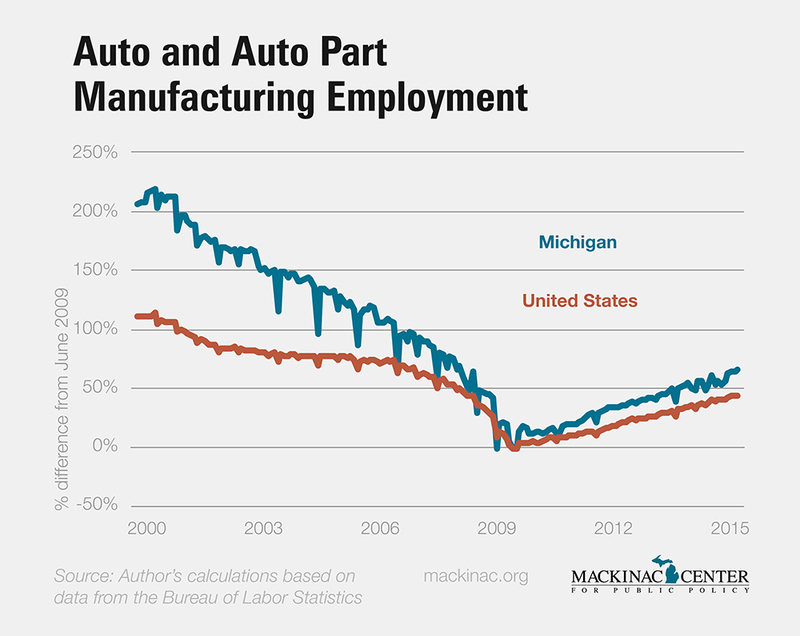 Michigan’s growth in auto-manufacturing employment is a reflection of national trends. 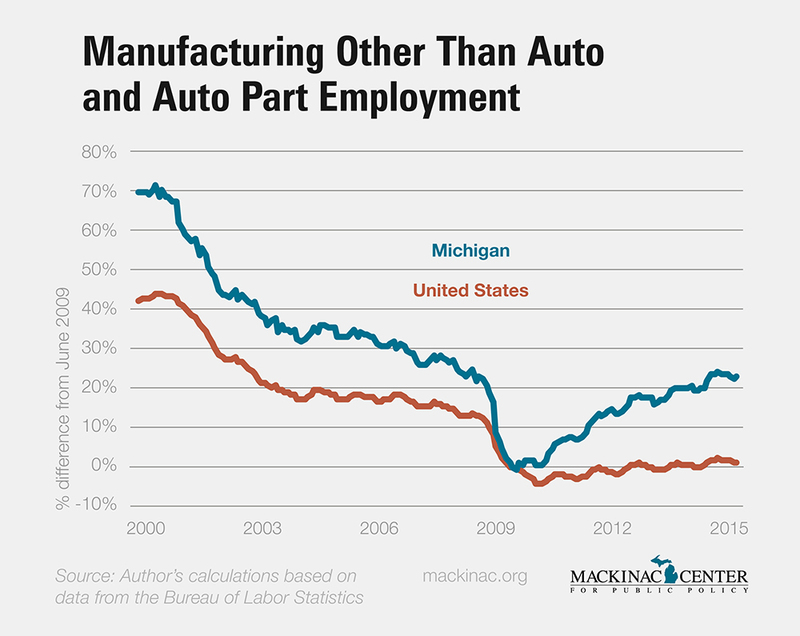 From 2000 to 2009, auto and auto-part manufacturing jobs fell nationally, with Michigan losing a greater proportion of jobs than the nation as a whole. Since then, these jobs have rebounded nationally, and Michigan, having lost more jobs, had more to gain. Subsequently, the state’s auto jobs growth has outpaced the national trend since the recession ended. Michigan’s economy is a much different state than it was in 2000. Back then, one out of 14 jobs were in auto and auto-parts manufacturing. Even with the recovery of the auto industry, it’s currently one out of 24 jobs. Motor vehicle and parts manufacturing accounted for 12.8 percent of state GDP in 2000, but just 7.6 percent in 2012, the most recent breakdown available. And while not strictly comparable due to changing industrial classifications, motor vehicles and equipment manufacturing used to account for more than 20 percent of state GDP in the 1960s. Michigan produces other things than cars and trucks. And this is where Michigan has seen some unexpected growth. Non-auto manufacturing jobs in Michigan have fully rebounded from the recession, bucking national trends. Nationally, these jobs have stayed at their ratcheted-down levels since the recession. According to the most recent state gross domestic product release, which unfortunately only reports detailed industry information for 2012, the largest manufacturing growth in Michigan during the recovery is in chemical products, textile products and the ambiguous “miscellaneous manufacturing.” The value of products in these three industrial categories increased by more than 60 percent from just 2009 to 2012. 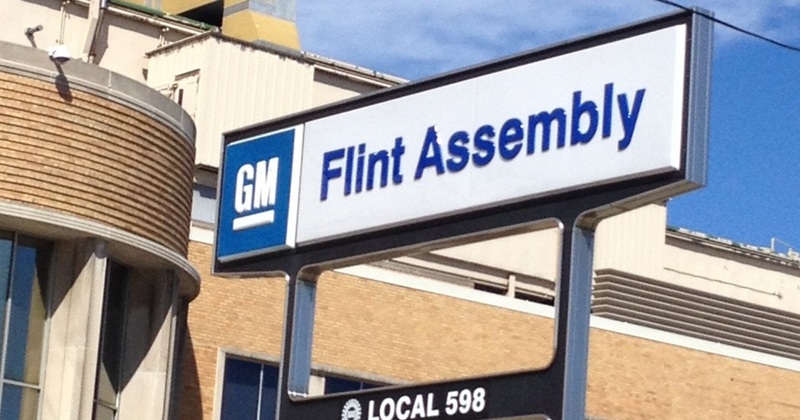 Michigan’s auto jobs recovery is great news for the state. But it is much more than just auto-related industries that have come back. 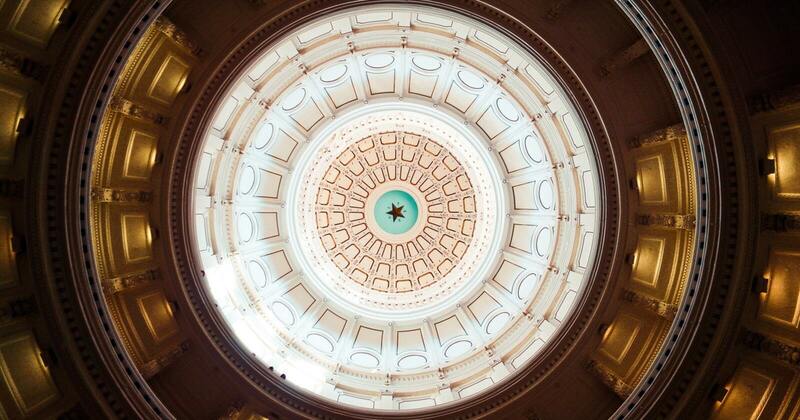 In many ways, the state’s economy is more economically diverse than it has been in decades. Residents should be grateful for this rebound. But these statistics also show how hard it is for anyone to predict the future and centrally plan a state economy. Yes, the heavily subsidized auto industry has rebounded, but so have many other industries that received no taxpayer support. Policymakers should keep this in mind when designing policies that affect businesses. 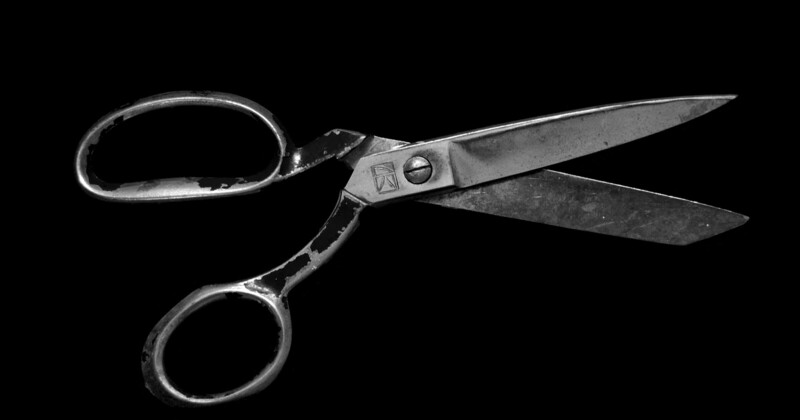 Business taxes and regulations should be fair and broad, applying equally to all, rather than to just a select few. A state economy is too diverse and complicated to nudge forward by subsidizing one or a few preferred industries.